You and your family rely on your heating and air conditioning systems to keep your property comfortable all year long. At your business, your HVAC system is absolutely essential to the productivity and profitability of your efforts. At Precision HVAC, our Greene County heating and air conditioning contractors are here to ensure that your HVAC system always operates in the most efficient and effective manner at all times. Our professionals proudly install, repair, maintain, and replace heaters, furnaces, boilers, air conditioners, and heat pumps for commercial and residential property owners. The one constant in everything that we do is our goal to achieve complete and total customer satisfaction. When you trust us as your HVAC service provider, our technicians promise to bring this dedication to excellence to task for you. Call our heating & air conditioning Company today if you need to install, repair, or replace a heater or air conditioner in your Greene County home or business. Our courteous and polite staff would be happy to take your call, to answer any of your questions, and to schedule your appointment today. We are always available to provide for your emergency heating and air conditioning repair needs. Living in Greene County, you know how important your heating system is during the winter. Without a reliable source of warmth and comfort, you and your family simply cannot enjoy your home to the utmost. If your heater has become old, unreliable, and inefficient, it may be time for you to replace it. At Precision HVAC, our heating contractors are here to guide you through the entire selection and installation process. we work with all conventional systems including furnaces, boilers, radiant floor heating, and heat pumps. Our knowledgeable experts can personally inspect your property and inquire as to your unique comfort goals. With this information, we can help you select and install a new heater that is perfectly customized to your needs. 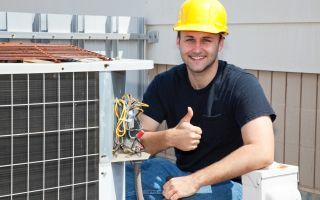 In order to keep your air conditioner providing for your family's comfort needs, your HVAC system must be routinely maintained by a skilled and experienced professional. More often than not, when an air conditioner breaks down or operates inefficiently, the problem could have been avoid during a tune-up. At Precision HVAC, our Greene County HVAC contractors specialize in air conditioning tune-up services. Through these simple measures, our team can enhance the comfort that you enjoy in your property. Your air conditioner will operate more efficiently, will be less susceptible to damage, and will last for the longest time possible. If you need to hire a professionally licensed heating and air conditioning contractor in Greene County, call Precision HVAC today at 845-399-0669, or fill out our online request form.